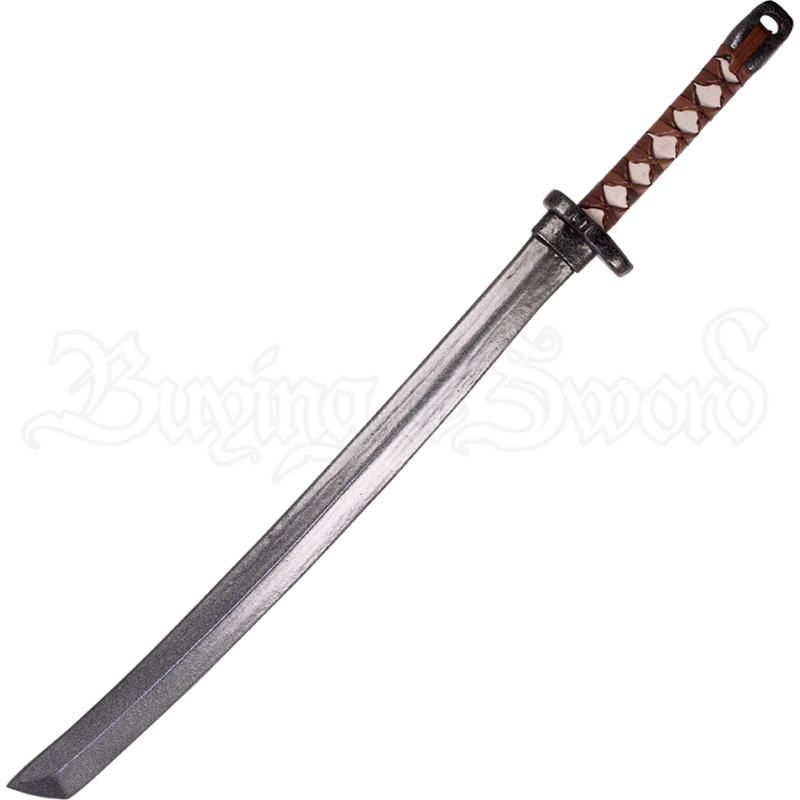 This high-quality LARP sword comes in a design favored by samurai during the feudal period of Japan. 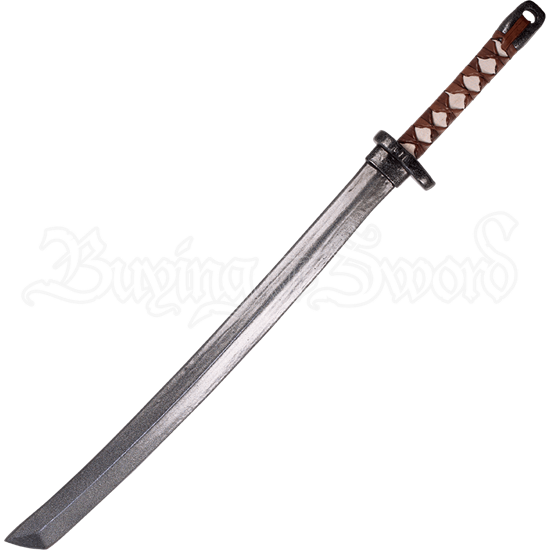 The Traditional LARP Katana features a straight, single-edged blade that has been hand-painted for an authentic metal appearance. A small, oval crossguard protect the handle, which is bound in menuki-style with durable leather. This excellent LARP blade is made from closed cell foam around a solid fiberglass core and is finished with a strong latex coating. When picking out a foam weapon for your next LARP battle, be sure to consider this classic LARP samurai sword!